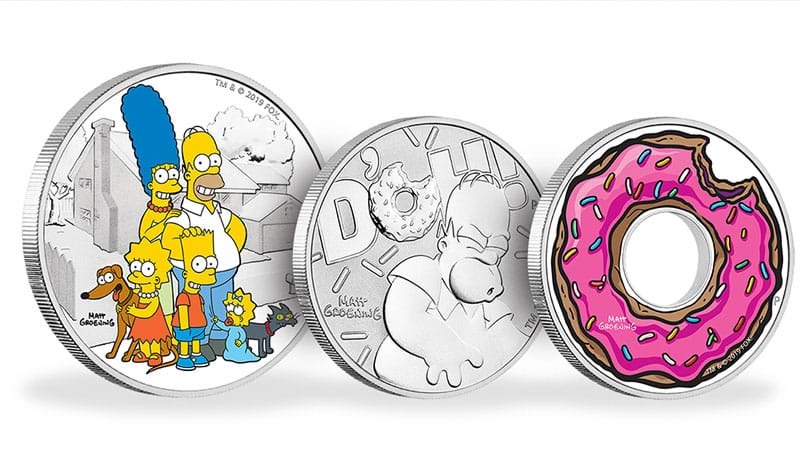 The Perth Mint Is Releasing A Series Of ‘Simpsons’ Themed Coins! Think of all the peanuts you could buy! The folks running The Perth Mint Australia have really outdone themselves this time because it’s just been announced a series of special edition Simpsons collectible coins are on the way! “The Simpsons series consists of eight 1oz coins and a 2oz coin superbly struck from 99.99% pure silver,” the Perth Mint explained in a statement. “The first three coins in this exclusive offering, which includes a rare investment coin, was unveiled at the prestigious 47th World Money Fair in Berlin, Germany to a global audience of minting organisations, coin distributors, collectors and gift buyers. So where can we get these sweet, sweet coins? Unfortunately, the coins will cost you a hefty dollerydoo, with the first three already valued from $59.00 - $230 each.